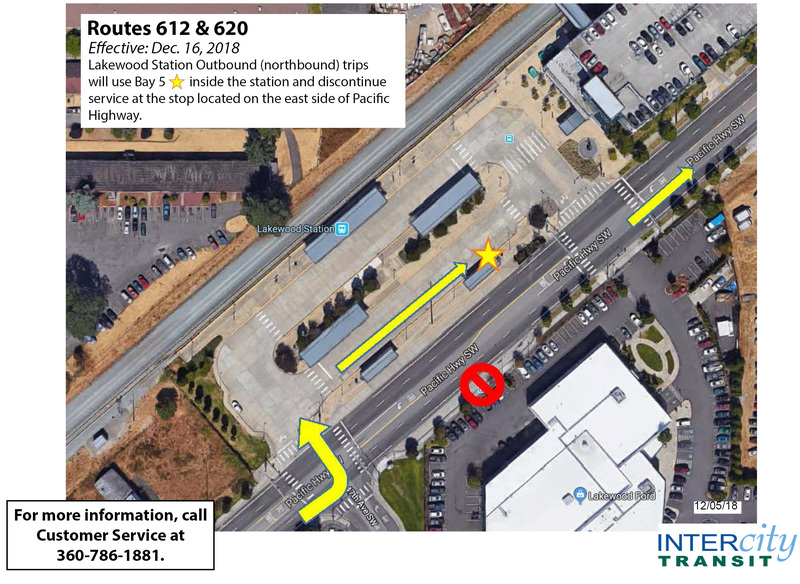 All Express trips on Routes 612 and 620 from Olympia to Tacoma (outbound/northbound) will use Bay 5 at Lakewood Station starting Sunday, Dec. 16, 2018. All trips from Tacoma to Olympia (inbound/southbound) will continue to use Bay 6 located adjacent to Pacific Highway. For service information or questions, contact Customer Service at 360-786-1881.